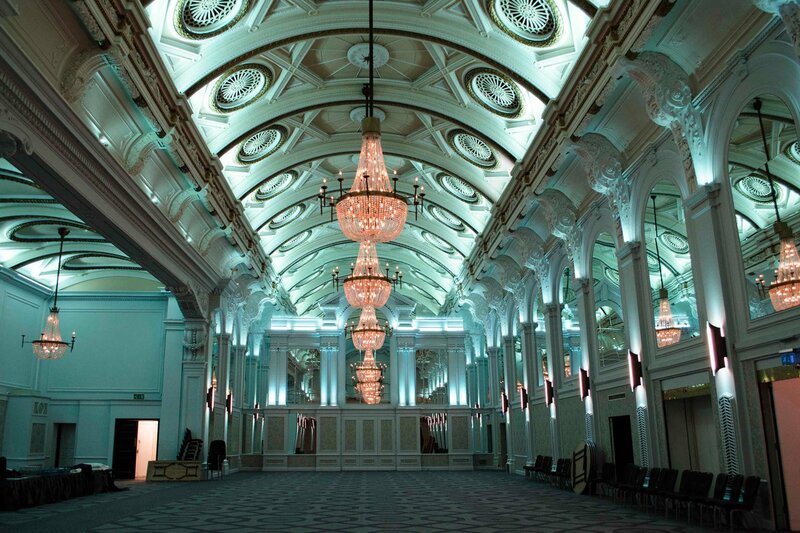 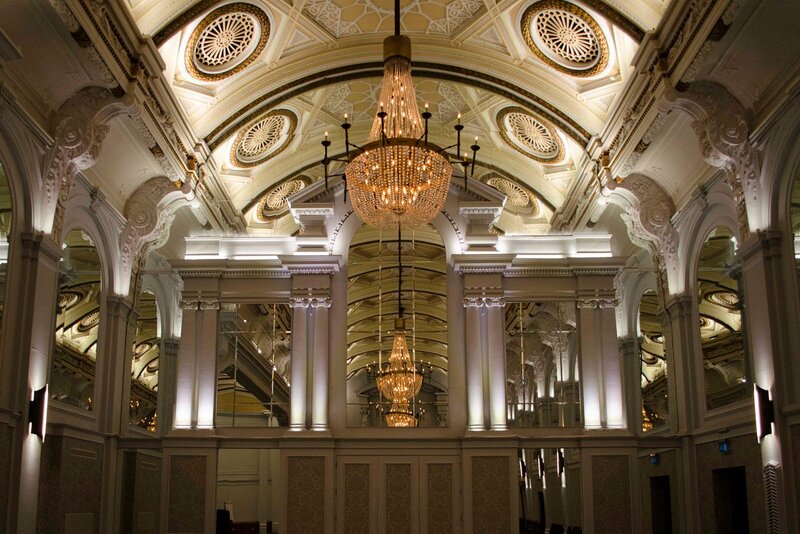 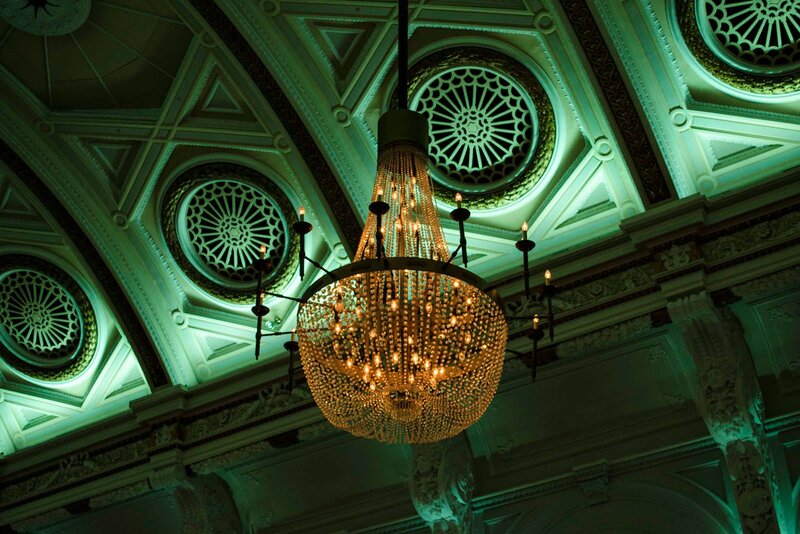 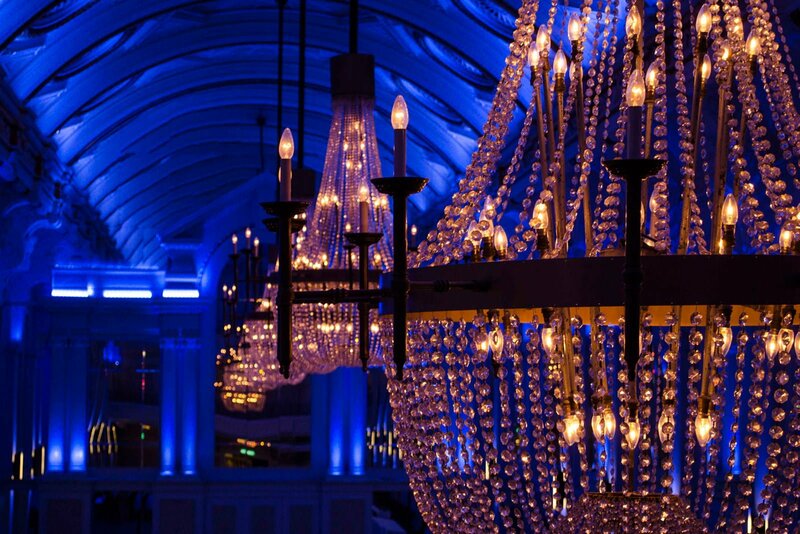 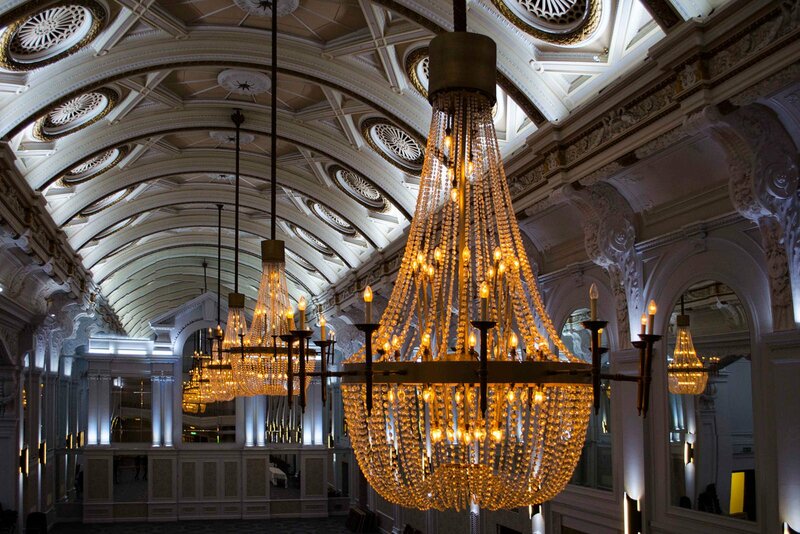 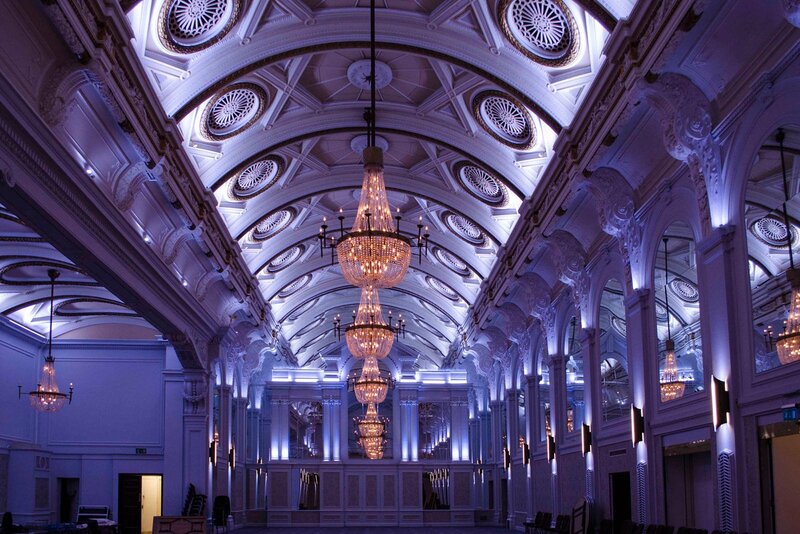 Beautiful venue lighting solution for the Grand Connaught Rooms' main ballroom. 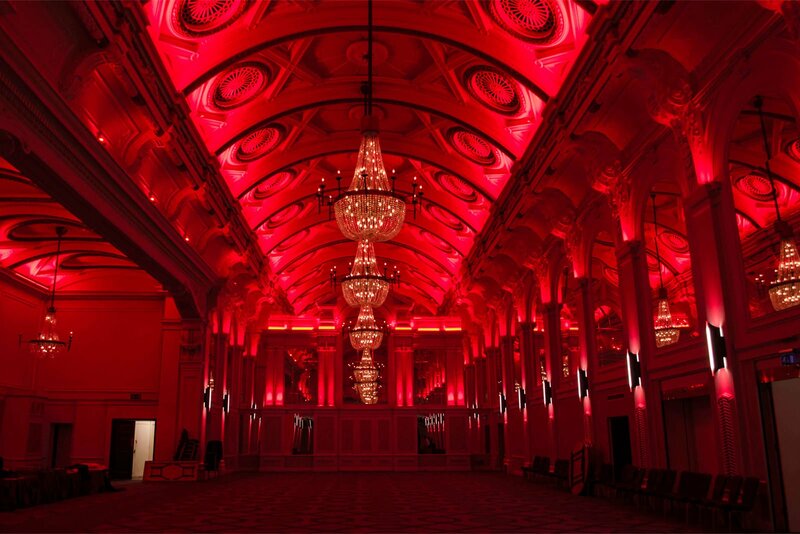 The scheme uses Linear RGBW LEDs and custom DMX control gear. 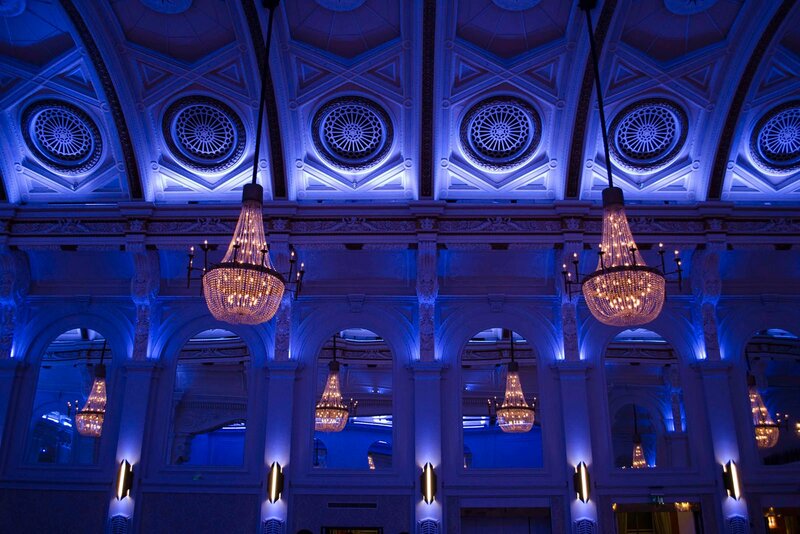 Lighting Design by Tyson Lighting.